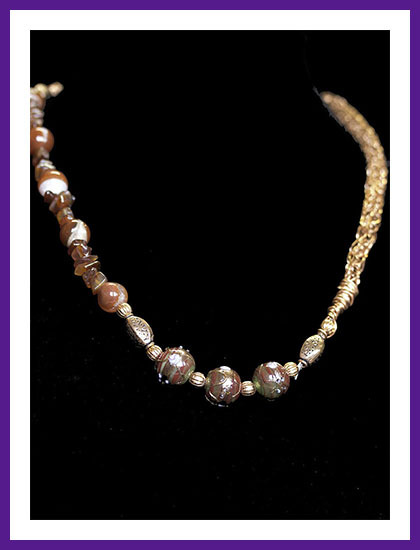 This necklace is made using half wire which is strung with beads and the other half has beads tucked into a woven copper rope. It is 30 inches long. 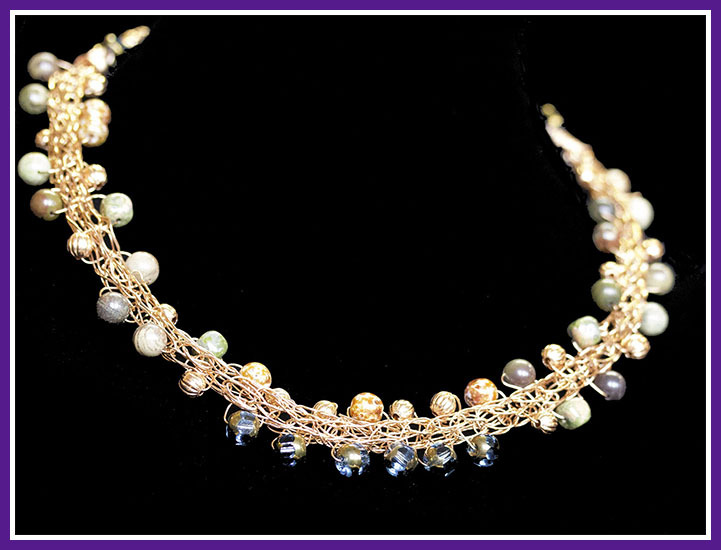 A woven copper netting wraps around glass and stone beads which change into strung beads near the hook. 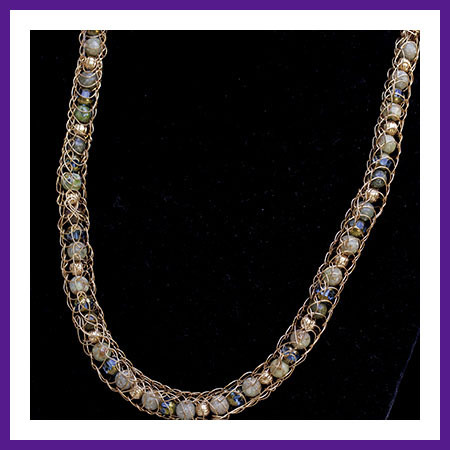 The neckelace is 27 inches long.